Karen Hsiao Ashe, MD, PhD, a professor in the Department of Neurology, is a pioneer in Alzheimer’s disease research. Ashe has studied the disease for more than 26 years and in her 20 years at the University of Minnesota she has trained more than 40 undergraduate, doctoral and post-doctoral scientists. Ashe has made a commitment in training the next generation of great scientists, in particular developing the careers of translational scientists. Her primary research areas include the genetics of human prion diseases; transgenic models of prion and Alzheimer’s diseases; and the molecular basis of memory loss in Alzheimer’s disease. Ashe’s current research interest involves the discovery of tau mutations that cause neurodegeneration. Ashe created tau transgenic mice to study tau-based mechanisms of memory loss and neurodegeneration. In 2006, Ashe became the founding Director of the N. Bud Grossman Center for Memory Research and Care, a tripartite endeavor encompassing basic, translational and clinical research and care in memory disorders. 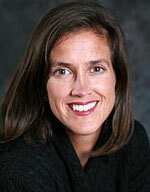 Bernadette Gillick, PhD, PT, is an assistant professor in the Program in Physical Therapy. Dr. Gillick’s current research interests focus on combining non-invasive brain stimulation and a promising form of rehabilitation known as constraint-induced movement therapy. Her work aims to improve recovery of function in children with cerebral palsy who have suffered a stroke, specifically around the time of birth. These forms of brain stimulation have shown no evidence of seizure or other serious adverse event. The sensation is described as painless, and does not require sedation or surgery. Also, this therapy has the potential to be applied in the clinical setting, simultaneously with rehabilitation training. Andrew Grande, MD, is a neurosurgeon who is always looking to advance the profession through new technology and treatment options. A native Minnesotan, Grande enjoys caring for Minnesotans and feels a great sense of community and affinity to the University of Minnesota. His clinical interests are in the treatment of cerebral vascular diseases using either open vascular or endovascular techniques. He has specific interests in the treatment of complex aneurysms, arteriovenous malformations (AVMs) and Moya Moya disease. Grande also treats trigeminal neuralgia and regularly collaborates with other departments to determine the best treatment options for his patients. Grande also co-directs the Earl Grande Stroke and Stem Cell Laboratory at the University of Minnesota. Daniel J. Guillaume, MD, is chief of Pediatric Neurosurgery at the University of Minnesota Children's Hospital and director of the Division of Pediatric Neurosurgery for the Department of Neurosurgery. His interests include advanced treatments of pediatric brain and spinal tumors, minimally invasive surgical approaches, complex hydrocephalus, and Chiari malformation. 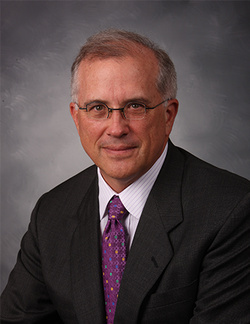 He has been published in numerous journals and books, directed courses on minimally invasive and endoscopic surgical approaches, served as reviewer and co-editor for major neurosurgery and stem cell journals and served as a moderator and scientific program committee member for national pediatric neurosurgical meetings. Stephen J. Haines, MD, has been a neurosurgeon for nearly 30 years and throughout his career has gained valuable knowledge and experiences that he uses to teach the next generation of great neurosurgeons. 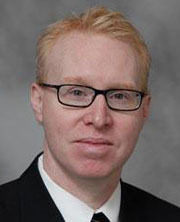 Haines’ primary research interest focuses on the application of advanced clinical research techniques to neurosurgery and the development of resources for the evidence-based practice of neurosurgery. 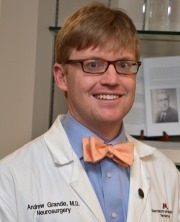 Haines is always looking to improve the quality of clinical research in neurosurgery and applying that information to develop new and appropriate surgical techniques. Haines’ primary clinical interests lie in surgery of the skull base, cranial nerves and posterior fossa, pediatric neurosurgery and brain tumors. He has extensive experience in the surgery of acoustic neuroma, trigeminal neuralgia and hemifacial spasm, craniofacial disorders, complex hydrocephalus, pediatric and adult myelodysplasia. Michael K. Lee, PhD, is a professor in the Department of Neuroscience. An international leader in his field, Dr. Lee studies the mechanisms of neurodegenerative diseases using transgenic mouse models – or models that mimic the disease. Lee and his team seek to understand how neurons die in Alzheimer’s disease and Parkinson’s disease and then develop ways to stop the conditions. In the Parkinson's mouse model, the group studies how abnormal alpha-synuclein (a protein abundant in brain) causes neurons to die and ways to slow this process. In the Alzheimer's mouse model, Lee and his team study how senile plaques (protein clumps) that are linked with Alzheimer's cause selected neurons to die.